Get your team up to a common speed, with a common vocabulary and knowledge base. Onsite training is a strong team-building exercise that improves efficiency and productivity. Since 1992, we've brought high-value-added team training to hundreds of organizations. Get all your personnel up to the same speed with a common vocabulary. Improve accuracy, efficiency and productivity. Instructor-led is the best kind of training. People learn and retain the most, asking questions and interacting. The course will also be a strong team-building exercise, often viewed afterward as a resounding success. Significant reductions in training costs are achieved - train your whole team with no travel costs. The instructor can relate the training to your organization's environment during the course. Content can be customized to best meet your requirements. Everyone will get an up-to-date reference book for after-course, on-the-job use. CTA and CTNS Certification Package included for everyone. Choose any of these courses, tested and refined over many years - and constantly updated. Customized content can also be added to best meet your needs. Our training has been taught to wide acclaim across North America since 1992 and is designed for the non‑engineering professional needing an overview and update, and for those new to the business needing to get up to speed quickly on telecommunications, data communications, IP, MPLS, wireless, networking, Voice over IP (VoIP) phone systems, SIP and security. Teracom has built a solid reputation for delivering high-quality training programs that are a resounding success. Let us do the same for you! BOOT CAMP is a full week of training for non‑engineers, covering the whole telecom and networking picture from fundamentals to future trends. You will fill in all of the gaps, build a solid knowledge base, and understand the new technologies. The week begins with three days of core training for non‑engineers: The PSTN, wireless telecom, data communications, the Cloud, Ethernet and LANs, IP and networking, MPLS, and the Internet. We'll cover the jargon and buzzwords, technologies and services, and most importantly, the underlying ideas and how everything fits together ...in plain English. On Thursday and Friday, we build on this solid foundation with Voice over IP, SIP and SIP Trunking, VoIP systems, IP security, and finish Friday afternoon with The Future: the Internet of Everything, how everything will be online - from toasters to 5G wireless and self-driving trucks. You get five days of career- and productivity-enhancing training, plus two Certifications and two course books totaling over 700 pages for each person. Telecom, Datacom and Networking for Non‑Engineers is our famous 3-day core training course for non‑engineers, covering all aspects of telecom, datacom and networking, fundamentals and jargon, from the PSTN and installed base to the latest new-generation IP network technologies. This course is the first three days of BOOT CAMP. It is often taught on its own in a three-day training session. Three days of career- and productivity-enhancing training, plus two Certifications and course book of over 400 pages for each person. Telecom for Non‑Engineers is our famous 3-day core training condensed into two days. This course covers all aspects of telecom, datacom and networking, fundamentals and jargon, including both the installed base and the latest IP-based technologies. Some of the more technical discussions are eliminated to fit the two-day format. Other two-day courses are different subsets of Course 101: Course 103 skips voice and wireless to concentrate on data communications; Course 104 skips the PSTN to concentrate on new-generation IP telecom. Télécommunications pour tous (sauf les ingénieurs) is a two-day version of Course 101 in French from our Canadian office. Une mise à jour complète sur les technologies des télécommunications actuelles. Les concepts de base, les termes, le matériel, les logiciels, les technologies et les services en deux jours, avec cahier du cours haute qualité, en deux jours. Enseigné à Bell et à TELUS plusieurs fois. Datacom and Networking for Non‑Engineers is a two-day intensive "data" course, specifically designed to explain the fundamentals of data communications and IP networking to non-engineers. Based on our famous core training, tuned and refined and totally up to date. Excludes voice, the PSTN and legacy systems to fit the two-day format. Other two-day courses are different subsets of Course 101: Course 102 includes everything from PSTN to MPLS with some technical discussions removed to fit into the two-day format; Course 104 skips the PSTN to concentrate on new-generation IP telecom. As with all Teracom courses, we'll cover the jargon and buzzwords, technologies and services, and most importantly, the underlying ideas and how everything fits together ...in plain English. This course can be easily customized to meet your needs. New‑Generation IP Telecom for Non‑Engineers is a two-day course taking an "IP first" approach, delivering a comprehensive technology overview and update A-Z on the modern telecom network, plus delving deeper into topics like IP, VoIP, SIP, fiber and wireless. Based on our famous core training, tuned and refined and totally up to date. Excludes the PSTN and legacy systems to fit the two-day format. Other two-day courses are different subsets of Course 101: Course 102 includes everything from PSTN to MPLS with some technical discussions removed to fit into the two-day format; Course 103 skips voice and wireless to concentrate on data communications. Wireless is a two-day intensive course designed for non‑engineers needing to get up to speed, fill in the gaps and put in place a solid understanding of today's wireless technologies. 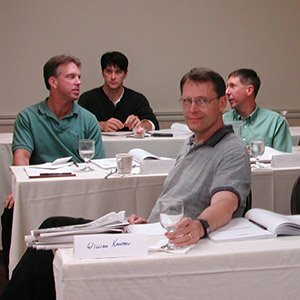 The course begins with radio fundamentals and radio spectrum, then cellular and mobile communications, then WiFi and other fixed wireless systems. This course can be customized to shift the emphasis to mostly mobility, or mostly WiFi if that better suits your needs. You get two days of career- and productivity-enhancing training, plus a course book of over 300 pages for each person. Voice over IP, SIP, Security, 5G and IoT is a two-day vendor-independent training course for non-engineers, concentrating on Voice over IP and SIP, plus Security, and finishing with 5G wireless and the Internet of Things (IoT)... or more accurately: the Internet of Everything. In the main part of the course, you will get up to speed on Voice over IP, what SIP is and how it works, all of the jargon, buzzwords and concepts, SIP Trunking, and sort out pros and cons of VoIP systems: Softswitch / Call Manager vs. Hosted PBX vs. IP Centrex vs. Cloud Service. Communication and security go hand-in-hand, so next is a comprehensive overview of security, the threats to networks, information and systems, the measures that can be taken, and best practices. Taking this course, you and your team will obtain a solid vendor-independent foundation, understanding technologies, products and implementation choices... the jargon and buzzwords, and most importantly, the underlying ideas… knowledge you can't get reading trade magazines or talking to salespeople. Two days of career- and productivity-enhancing training, plus CTNS Certification and a detailed course book for each person. IP Contact Center Technology covers virtually all aspects of IP in the call center with a complete, unbiased picture and a thorough understanding of IP contact center technologies, benefits, issues, options for solutions, migration and integration strategies and vendor offerings, complete with practical templates and checklists you can put to immediate use. Impossible to find in one place anywhere else, this incredibly comprehensive and up-to-date course will save you hundreds of hours trying to research these topics yourself. IPv6 is a comprehensive course on the new version of IP, providing a structured understanding of the IPv6 addressing scheme, the different types of addresses machines will have, how addresses are allocated and used, the impact of IPv6 on other protocols, coexistence with IPv4, plus issues, solutions and current best practices for migrating to and implementing IPv6 in operations, products and services. This course has been taught at Bell Labs! This accredited course teaches the advanced hacking tools and techniques used by hackers and information security professionals alike to break into an organization. You will be able to scan, test, hack and secure your own systems, using the same tools and methods the attackers are using. In 18 comprehensive modules, the course covers 270 attack technologies commonly used by hackers... and how to stop them. 2200 commonly used hacking tools and over 140 simulation labs are provided to immerse you into the hacker world. A Certified Ethical Hacker is a skilled professional who understands and knows how to look for weaknesses and vulnerabilities in target systems using the same knowledge and tools as a malicious hacker, but in a lawful and legitimate manner for penetration testing to assess the security posture of a target system. CEH BOOT CAMP: CEH certification training in five days. With Teracom's Certified Ethical Hacker BOOT CAMP, get away from distractions at your desk to concentrate and learn with a professional instructor and hands-on labs, interact with classmates, and finish the week with the training for the CEH certification exam completed. Have the knowledge to systematically respond to attacks to defend your network in real-time. Students enrolled in the Certified Network Defender course will gain the technical depth required to actively design and maintain a secure network in your organization. You will learn network defense fundamentals, the application of network security controls, protocols, perimeter appliances, secure IDS, VPN and firewall configuration... solid vendor-independent knowledge that you can build on. We will also teach you the intricacies of traffic signatures and traffic analysis, plus vulnerability scanning to allow you to design network security policies and successful incident response plans. CND BOOT CAMP: CND Certification training in five days. With Teracom's Certified Network Defender BOOT CAMP, get away from distractions at your desk for a week to concentrate and learn with a professional instructor and hands-on labs, interact with classmates, and finish the week with the training for CND certification completed. Obtaining the GSA contract took two years and included a customer quality evaluation where we scored 97%! Join these satisfied customers today! Our specialty is explaining telecom technologies to non-engineers who need a comprehensive overview and update, as well as for newcomers who need to get up to speed quickly. • Non-Engineers needing to build a solid base of knowledge, understand the jargon and buzzwords, fill in the gaps and understand mainstream technologies and trends... and how it all fits together.